How do you stare down the fact that your days are numbered? That’s the question hovering over the latest album from country legend Willie Nelson. The soon-to-be 85-year-old has watched all the artists that inspired him and nearly all those who were part of his outlaw posse make their final transitions. Sad, yes, but a dull inevitability. Rather than lament his fate, Nelson is facing it with the same humor, humility and gravitas that has marked his entire career. 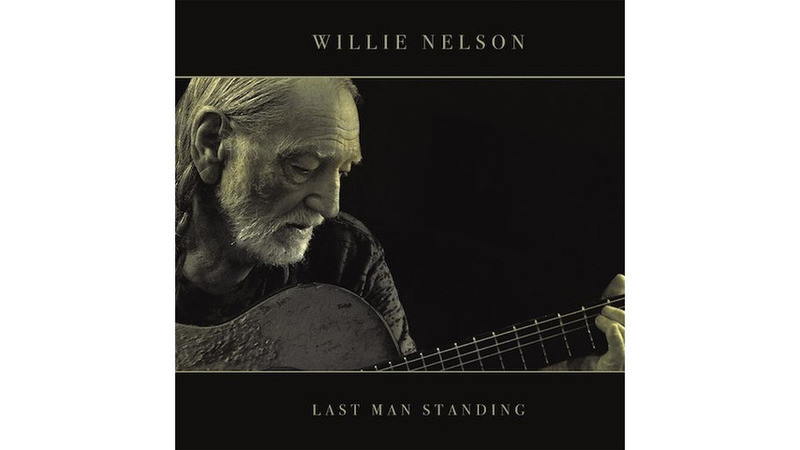 All of that is present in the title of the album: Last Man Standing. And he addresses it head on in the title track. “It’s getting hard to watch my pals check out/it cuts like a wore out knife/one thing I’ve learned about running the road/is forever don’t apply to life,” he sings, his ragged voice and vibrato fluttering around every word. On paper, it sounds like a slow lament but with the help of producer Buddy Cannon (he also co-wrote all the songs here), it’s a swinging joy, a tongue-in-cheek reminder to hold on tightly to life before it’s too late. Last Man Standing is as much about looking backwards and it is toward the light at the end of the tunnel. Cannon’s music touches on the peaks of Nelson’s long career: the zooted waltz of his late ‘70s/early ‘80s output, the Tejano shuffle that infused his work in the ‘90s and the lightly wasted grooves of his more recent albums. The whiskey and women of his lyrics have been replaced by gentle laments about his bad breath and still kicking up dust on a Friday night, but the spirit is essentially the same. Through it all, Nelson sounds as strong as ever. His recent concert appearances have found him often in shaky spirit, gamely working through the hits but sounding like his age is catching up with him. You can still hear a bit of wear on his pipes and his strumming of Trigger but otherwise his as lucid as he ever was, an impishness within that reads like someone who can’t quite believe that he’s still above ground and making music in his eighth decade. We should all be so lucky.